Vintage sounds for your DAW. 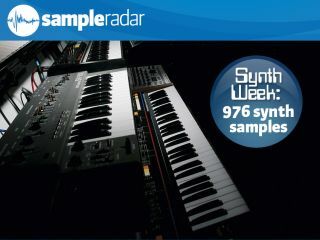 As you may have noticed, MusicRadar has been celebrating Synth Week and, wouldn't you know it, SampleRadar has come along to the party, too. We're giving you a selection of classic synth sounds - these come from ARP's Odyssey and Solina instruments, and Roland's System 100. As a further bonus, you can also download single hits from some of history's finest drum machines, including Roland's TR-909 and 808 beatboxes. The samples are split into four folders. Three of these cover the featured synths, while the fourth contains all the drum machine content. There are riffs, multisamples and single hits. The classic synth samples are supplied in a zip file, so you'll need to extract this before you can see them. Enjoy! The 10 greatest synths of all time… in software!